AJPW is one of the most legendary promotions in the history of Professional Wrestling. Over the years it has produced an array of incredible technical matches and built some of the greatest wrestlers to ever live. It all started in October 1972, when All Japan was founded by a figurehead of Japanese wrestling – Shohei Baba, a.k.a ‘Giant Baba’ – along with The Momota brothers. Baba’s popularity rivalled that of ‘The Immortal’ Hulk Hogans in North America at the time. 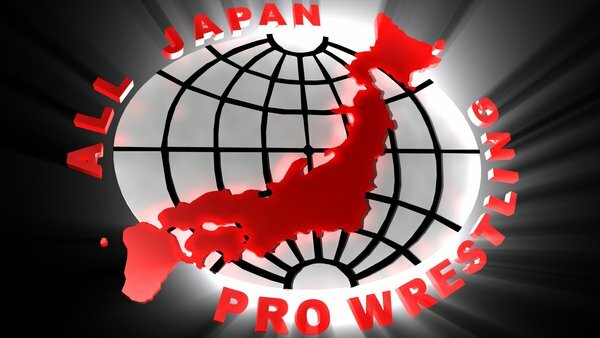 Soon after, All Japan joined the National Wrestling Alliance which allowed them to import plenty of foreign stars to work with their own talent. Along with their membership to the NWA came their prestigious World Heavyweight Championship, which was regularly defended at AJPW shows. However, along with the collapse of the NWA in the late 1980’s came Baba’s decision to seclude AJPW and it’s talent from any other promotions. He then dedicated his time to exclusively promoting talent that wrestled only for his promotion – foreign or otherwise. Later, Baba unified the All Japan titles into the Triple Crown and the AJPW Unified World Tag Team Championship. Whilst also promoting once in a lifetime talent such as Kenta Kobashi, Mitsuharu Misawa, Toshiaki Kawada, and Genichiro Tenryu. With this talent, AJPW was able to continue to attract more and more viewers all whilst putting on some of the greatest matches of the 90’s and possibly of all time. Classics were provided from Kawada and Misawa, with Kobashi often in the mix, like a factory conveyor belt of 5* matches. Baba’s core group were perfectly manufactured and helped create a loyal fan base that continued throughout the early-to-mid nineties. At this time interpromotional matches were still rare in All Japan, and on occasion outsiders would wrestle (e.g Hiroshi Hase) but they would never be given a significant push. Unfortunately, the legendary Giant Baba passed away on January 31st, 1999, at the the age of 61. Due to his political power and general influence, Misawa immediately inherited Baba’s powerful position as company president. Although he had mass amount of power, Misawa was voted out of his position by a majority vote from the executive board – which meant he had to relieve his duties as company president. About 15 days later, six members of the executive board resigned from their positions (Misawa, Mitsuo Momota, Kenta Kobashi, Akira Taue, Kenichi Oyagi, Yoshihiro Momota). The next day, Baba’s wife released a statement that said, ‘Misawa took no responsibility and abandoned his position. It was claimed that, “Kawada and Fuchi have sworn to carry out Baba-san’s last wish: to keep All Japan Pro Wrestling alive”. This was later confirmed when they both renewed their contracts one day later, as loyal AJPW members. **The End of an Era**. Soon the fateful day of the mass exodus occured, June 16, 2000, on which 24 of the 26 AJPW wrestlers were led by Misawa for a press conference where they announced they would be departing from All Japan Pro Wrestling. During this, Misawa also expressed his wish to debut a new promotion in August 2000. He claimed his reason for leaving AJPW was because he wanted to innovate a more “modern style” of professional wrestling. A day later, Misawa announced his new promotion: Pro Wrestling Noah – which was inspired by the biblical telling of Noah’s ark, which may have been Misawa’s own analogy in which he saw himself as Noah saving the All Japan talent from AJPW’s downfall. Two days later, NTV announced the discontinuation of All Japan broadcasting after 27 years. Soon after, Noah stole what was formerly All Japan’s 30 minute timeslot. 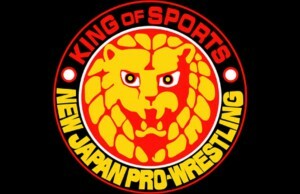 AJPW used up the remainder of their TV time and on July 20th, 2000, All Japan legends Kanemaru, Marafuji, Momota, Kobayashi, Takayama, Ogawa, and more performed for the last time for AJPW. Everyone of their titles were later vacated due to the mass exodus of their talent – thus marking the end of a poignant era in professional wrestling history.